We have owned the property since 2014, and love meeting new people and greeting returning guests. Having honeymooned in the area 30 years ago, we knew that someday we would return. Let us host your next vacation, and share with you all that Lincolnville and the surrounding areas have to offer. Lincolnville is a hidden gem on the mid coast of Maine. 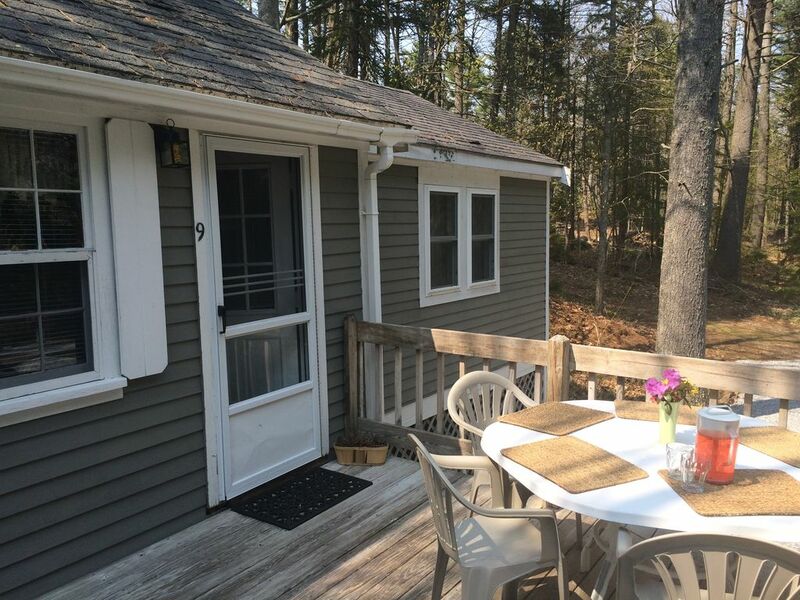 Centrally located, making it easy to explore nearby and venture to other areas, such as Bar Harbor. One of several private, cozy, comfortable cottages on our property. Large deck with gas grill. Great for families! Private deck, perfect for morning coffee, or outdoor dinners. The cottage is very clean and bigger than expected. It was only three of us, but could easily fit another family. The owners are very friendly and the stay was wonderful. We would definitely recommend this place to anyone. Thanks so much. We would love to have you visit again. Enjoy the rest of your summer! We spent two nights at the cottage over Columbus Day weekend. We arrived late in the evening Friday and Garry and Barbara were amazing and waited for our arrival. We had been in contact throughout the day and after a long day of driving they made check-in very easy. We were in the area for a family wedding on Islesboro Saturday. Having never been to Maine before I was not sure what to expect. The area was absolutely beautiful and the cottage was a great place to return to after the wedding. Everything we needed was there and the cottage comfortably fit 6. There was room to all be together in the living area and we were able to put the children to bed earlier and the adults could stay up in the main room. Garry and Barbara recommended a local bakery and we stopped by on our way out the next morning. I hope to return again and spend more time exploring the area. They have several cabins together and would be a perfect place to bring a large group or host a family reunion. We were in town for an event. Needed something small and quiet for my father who doesn't get around that easy. It worked out perfect. Barbara and Garry were very friendly and informative. They are new owners who doing a very nice job. We will surely return if we are in the area again. Rates are subject to change until booking confirmation.